So glad you guys have been enjoying my new spin-off series, “Your Time With Thomas: The Experience.” It’s really fun to go down memory lane and watch all of the fun things we did in the Philippines. The 8-episode series was filmed in order, so make sure to watch the episodes in order to get the full experience of our vacation. 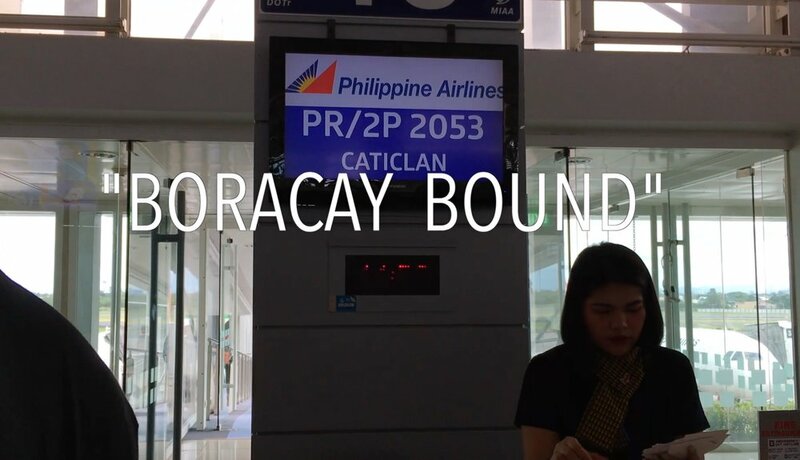 EPISODE 2 captures my dad and I traveling from Manila to a tropical island called Boracay. According to The New York Post in 2017, it was named the best island in the world by Conde Nast Travelers. It’s one of those islands I’ve always wanted to visit and let me tell you, it did not disappoint. The flight wasn’t that long to get there. We flew on Philippine Airlines and their service was impeccable. They even provided a Filipino pastry and served beverages. I was impressed with their hospitality and the plane we were on was brand new! Upon arriving, I had no idea we actually needed to then board a 30 passenger boat to the main island which approximately lasted about 15 minutes. We booked our room at Patio Pacific Boracay. The hotel had a huge swimming pool and a fairly big gym. The room and property overall was very clean and I enjoyed the buffet style food assortment. It was in a great location too so if you’re looking for a hotel to stay at, I recommend staying there! It’s about a 5 minute walk to the main beach boardwalk. As soon as we got to the boardwalk, I was really blow away at how touristy like the place was. People from all nations were walking around and I fell in love with Boracay right then and there! Loud music was playing and everyone was dressed very casual. The vibe was everything! The prices for food were ridiculously affordable and the folks at all of the stores and restaurants were very friendly and kind. The episode also takes place at Gerry’s Grill! The food was delicious! We ordered lumpia which are known as Filipino style egg rolls and other Filipino dishes! Definitely visit that restaurant when you go to Boracay! The performances with fire were really entertaining and the energy there was nothing I’d experience before on any vacation. On the next episode, EPISODE 3 airing on Sunday, August 26 at 8 PM, you’ll get to explore more of Boracay with us as we head on a boat tour around the various islands! The water current was really crazy that day but for purposes of not spoiling the episode, I’ll stop writing here and explain more in my next blog post on what happened. I’m just glad we’re alive to say the least! Hope you all have been loving the Philippines so far! I’m proud to be Filipino and hope I’m presenting the places nicely so that one day you will want to come and visit. I can’t wait to go back soon! Special thanks to my show sponsor Philippine Airlines for sponsoring this project that my team and I worked so hard on and also for believing in my brand. Book your next flight to Asia and the Philippines by visiting PhilippineAirlines.com. Also, please subscribe to my YouTube channel under Your Time With Thomas and tell your family and friends about my new spin-off series! There’s 8-episodes total, so we’re just getting started! As I mentioned previously in my last blog post, the island is currently closed but news outlets are reporting that Boracay will be reopening very soon! Read all about the exciting news on Google! Till next time, follow me everywhere online @thomasorlina!